The 3M Easi-Air Paint Spray Respirator Assembly includes two organic vapor cartridges, two paint spray filters, and one silicone face piece. 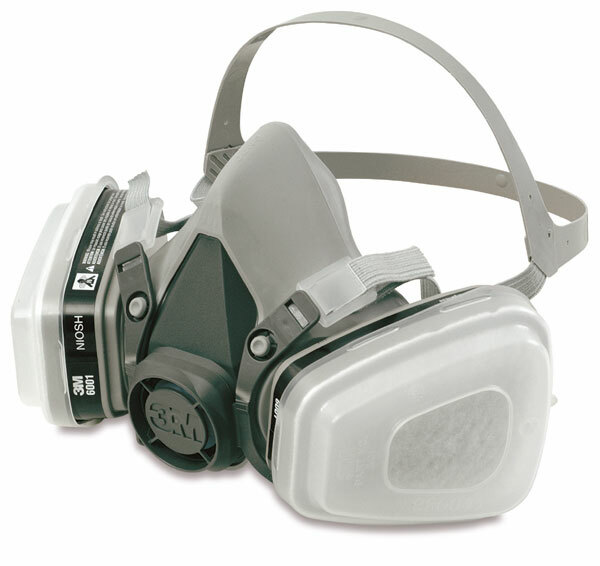 It's NIOSH/MSHA approved for respiratory protection against mists of lacquers, enamels, and other paints. Complete instructions are included, which detail usage, approval labels, and product limitations.